As the nights get darker and the evenings get colder, winter weddings are firmly in the forefront of our minds. If you love the idea of a winter celebration but also want to keep warm on your special day then you will find lots of stunning ideas right here. Take a look at some of our favourite ways that you can cover up and keep warm for your winter wedding whilst still looking fabulous in your wedding photos. A faux fur wrap or jacket will be a great way to keep warm and look super stylish on your special day. If your wedding is going to be in the middle of winter or is at a grand and luxurious location, then a fur wrap or shawl could be perfect for you. Team with: If you are adding some luxe with a fur wrap then you want jewellery that is just as spectacular, team your fab fur coat with glittering crystal earrings. If you are a real rock chick at heart or you simply want to add something supercool to your bridal look then team your delicate wedding gown with a leather jacket. The contrast between the two fabrics works perfectly and gives stylish finish to your wedding attire. 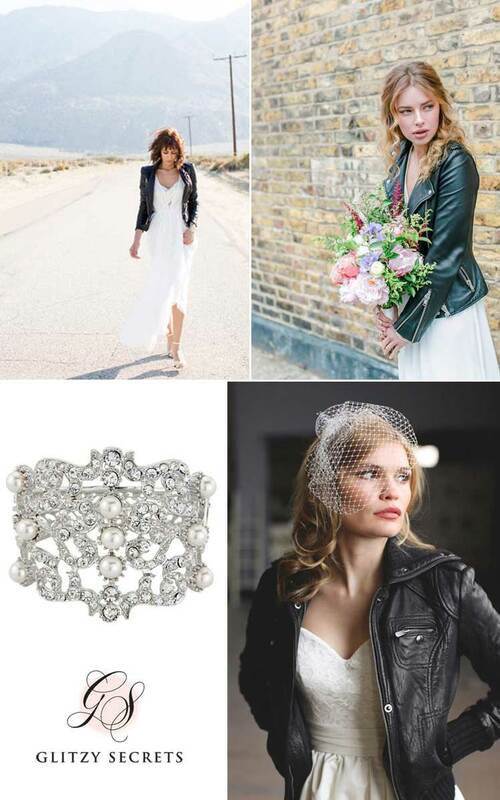 Team with: Your biker bride look will look great with a chunky cuff or bangle covered in sparkle. 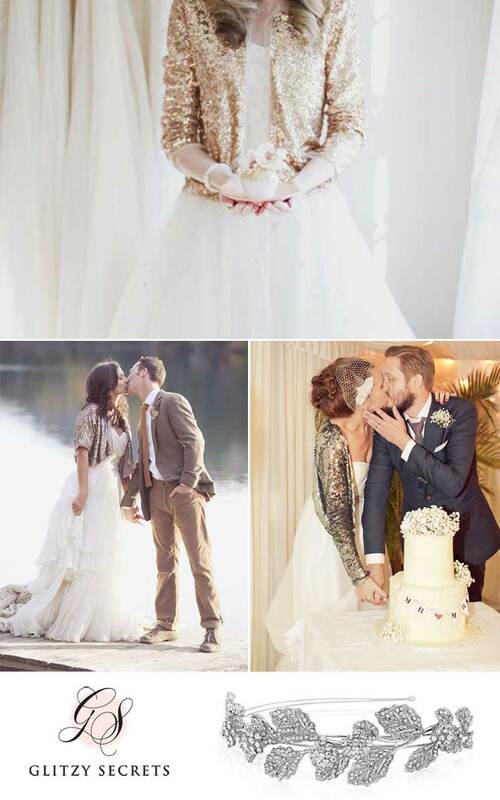 A lace bolero or jacket can really transform a simple wedding gown. Worn over the top of your dress, it can seamlessly appear to be part of your attire. As the evening draws in and you want to celebrate your reception with the warmth of inside, you can take off your lace overlay and give the appearance of a completely different wedding dress. 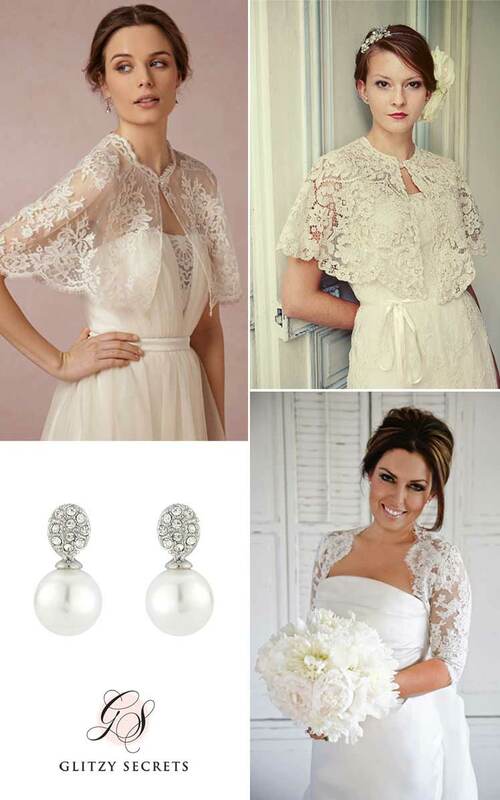 Team with: Embrace this vintage lace style by wearing simple pearl wedding jewellery. 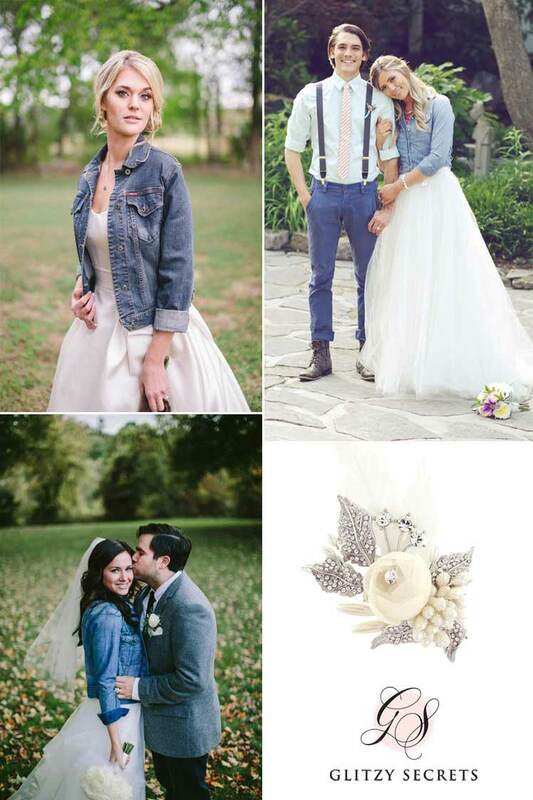 If you are getting married in autumn or want to embrace some country-chic then wear your wedding dress with a denim jacket. There’s something relaxed and carefree about a boho bride teaming her pretty wedding dress with some structured denim. Team with: Embrace the relaxed and boho style of a denim jacket by wearing flowers in your hair. 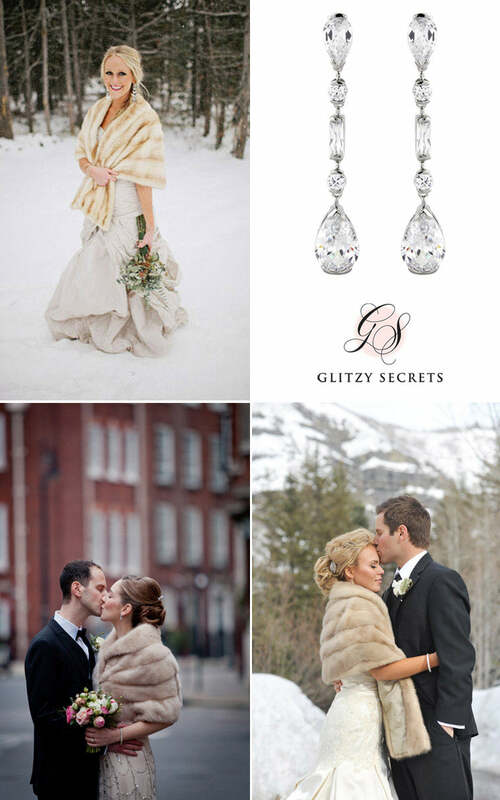 If you are having a winter wedding then a hint of icy sparkle will be the perfect finishing touch to your look. Add something icy cool with a silver sequin jacket, keep it romantic with rose gold or add a touch of glamour with glittering gold. Team with: If you’re wearing a glittering sequin jacket then complete your look with a side tiara that is just as sparkly.